Have you got behind on your Christmas shopping? Are you trying to find the perfect present for an adrenaline junkie? Why buy a gift voucher for a clothing store or MP3 downloads, when you can purchase one for an incredible driving experience? This is the type of activity which your friend or relative will never forget as long as they live. 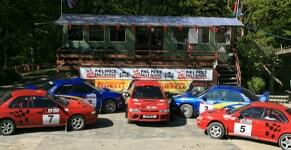 Phil Price Rally School welcome visitors from all over the UK to our incredible rally stages in the centre of Wales. With four fully-prepared rally cars ready for your loved-one, there’s never been a better time to book a driving experience for 2018. Described as ‘simply the best’, we have many repeat visitors who love our driving days so much they come back several times. 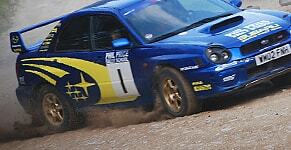 Our driving experience are excellent value for money, with most of the time spent driving rather than observing. We can maximise your time spent behind the wheel, enabling you to experience the highs of a professional rally driver, with everything taking place on our breath-taking rally stages. We offer plenty of time spent behind the wheel and as little on theory as possible. The day ends with a competition against other drivers- will your loved-one take home a trophy in 2018? Find out more about our gift vouchers today.